Ruminations on Aniko Carmean’s Stolen Climates (Or “I’ll take a little myth in my horror, thank you.”) | Marie Loughin's "I WANNA BE . . ."
Carmean’s book holds a special appeal to me because I love the use of mythology in fiction. 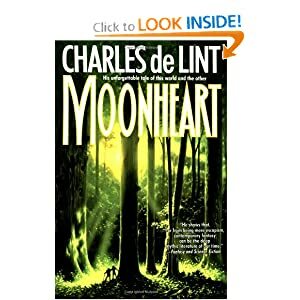 I read my first urban fantasy novel— Moonheart, by Charles de Lint—about sixty million years ago, back when they still shelved all science fiction and fantasy together in a dark corner of the bookstore. Moonheart nearly exploded my brain. The idea of fairies living among us (and we’re not talking about Tinkerbell, here) captivated me like nothing I’d read before. You have to understand—I searched for leprechauns in the clover every St. Patrick’s Day clear through high school. Even now, I walk a wide circle to avoid crossing a fairy ring. (When I was young, I stood in the middle and waited for something to happen.) As I got older, the work of Charles de Lint gave me a way to see magic amid the exhaust and noise of modern life. But everything has its dark side, including myth and magic. In Stolen Climates, Aniko Carmean draws from the nature religions of Central and South America, where Mother Nature can be very dark, indeed. Though I read all sorts of mythology as a child, I always steered clear of the Aztecs and Mayans. Just too scary for young me. Stolen Climates gives a glimpse into those ancient stories, making me wonder what I’ve been missing. I asked Aniko to share a little of the background to the story, and here is what she said. In mythology, twins represent the duality of the universe by showing the two faces of one reality. Twins in Mesoamerican creation myth are portrayed as possessing god-like abilities to slay monsters. The Popol Vuh, a written account of Mayan mythology, tells the story of the Hero Twins, Hunahpu and Xbalanque. The Hero Twins were tricksters who outwitted the lords of the underworld into offering themselves as sacrifices to the Gods. What fascinated me, though, was not the twin myth on its own, but the myth in combination with the fact that in ancient Mesoamerica, twins were regarded as negative portents. Twins were considered so dangerous that the Aztec killed one of each pair born. All of these ideas got caught in my mental filter, where they fermented, transmuted, sublimed. In the end, I decanted what was left of that heady combination of myth and fact. Therein lay my inspiration for los gemelos, the Cayalanzuvan twins in Stolen Climates. Los gemelos are La Zalia’s unnamed enforcers, the ones who bring punishment to those who trespass against the Goddess. Only one of the twins speaks, but the other carries a ball of string to play cat’s cradle. The string symbolizes the interconnectedness of all in Nature, and the twins are incarnate guarantors of the natural order. In Stolen Climates, I use twin mythology to give a sense of apprehension around the power associated with Nature’s often-horrific will. I am not sure where I first read the Hero Twin myth, but a good deal of information can be found in the book Aztec and Maya Myths, by Karl Taube. I’m sure there’s a bit of Joseph Campbell’s work on mythology informing this as well. See what I mean? Mesoamerican flavored mythology makes great food for a horror novel. Carmean brings it to life in the modern world, a time when Mother Nature should be very angry indeed. If you take your fiction dark with no sugar, I highly recommend Aniko Carmean’s Stolen Climates. You can find a description and book trailer for Stolen Climates at Aniko’s blog. Find an enlightening interview with Aniko at YouTube. See my review of Stolen Climates at Goodreads. Buy the book at Amazon or other online retailers. This entry was posted in Authors, Books, Myth in fiction, Ruminations and tagged Aniko Carmean, Aztec, Charles de Lint, fiction, horror, Joseph Campbell, Mayan, Moonheart, Mother Nature. Bookmark the permalink. The book sounds delicious and the way you describe it makes me want to read it now. I loved reading that you looked for the wee folk in every corner during St. Pat’s. It seems we are cut from the same cloth. We had a ring of mushrooms in my yard when I was growing up–I wanted it to glow, or manifest something, or send me secret and mysterious messages. I was always looking for magic–I’m still looking. 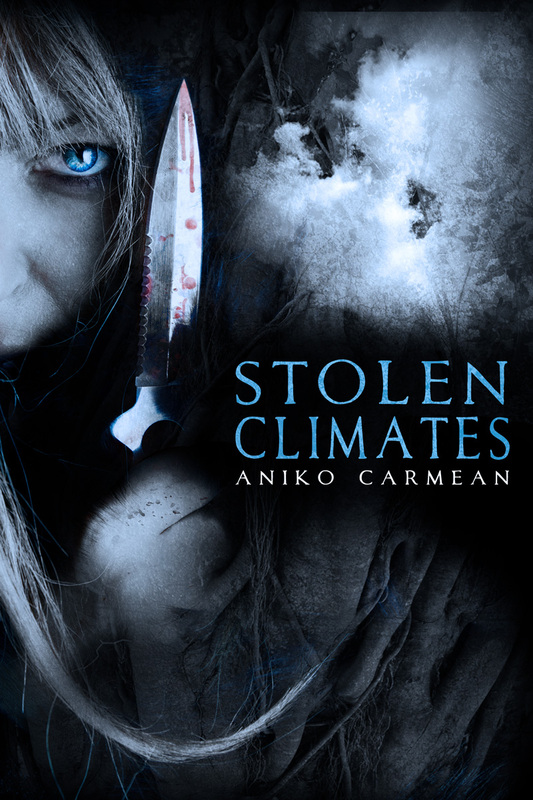 “If you take your fiction dark with no sugar, I highly recommend Aniko Carmean’s Stolen Climates.” This was enough to make me want to read the book. Marie I also love that you tell us you were too afraid to read certain things when you were young–in this case Aztecs and Mayans. It brings out the devilish side of me that wanted to scare my sister as soon as I knew what she was afraid of. I won’t do it to you–I promise. Great post and book sounds great! It’s a sad thing to give up on magic. That’s why having little kids around is so great. I know what you mean. I used to be a “one book at a time” person, but now I seem to have a different book going in every room of the house. Thanks for inviting me to talk myth with you, Marie. It was fun. Like Penelope, I like the phrase, “If you take your fiction dark with no sugar…” — nice! I picked and chose the bits and pieces of Mesoamerican myth that lingered with me, or gave me the creeps when I read it. I wasn’t true to any particular culture or mythology, but I think the inherent horror at blood ritual went well with the tone of Stolen Climates. The twins were such a surprise to me (what mother doesn’t say that, I guess!). When they arrived, somewhere very late in revision, they just felt right. Like they were meant to be there all along. I appreciate the chance you gave me to explain a little about their background. I love when something unexpected pops up while I’m writing and it changes everything. The twins were a great addition! Thanks for visiting, Aniko. Finally started reading this. Enjoying it so far. I like that you’ve featured some comments/insight by Aniko. Don’t have much else to comment on except to say that I’m looking forward to see where this one goes.